Decollete and Bust Contouring CrÃ¨me -The most delicate area on the body is the area between the chin and lower bust line. 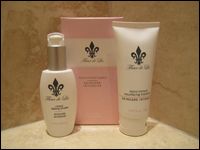 Restore this delicate skin with smoothness, tone and enhances skin firmness. Soft Grain Scrub - A gentle formula that works together with natural grains to safely lift off dead skin cells. 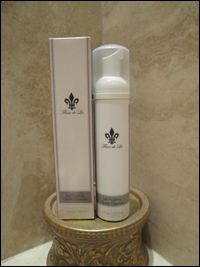 Will not irritate delicate skin while effectively polishing the skin's surface, leaving a smooth and glowing appearance. 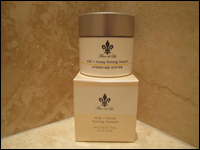 Milk + Honey Firming Masque - This luxurious firming masque uses honey and natural milk proteins to help dry, dull, damaged skin. 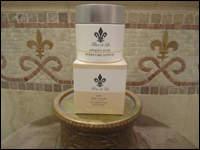 Helps soothe and nourish giving aging skin a much needed boost. Suitable for dehydrated, mature and environmentally damaged skin. Eye and Throat Bio Formula - A super emollient cream that helps diminish the appearance of fine lines caused my premature aging. 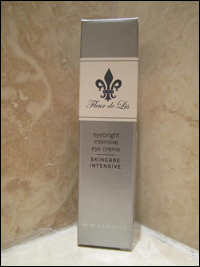 Eyebright Intensive Eye CrÃ¨me - This intensive eye cream helps smooth, hydrate and refine the delicate area under the eyes. Fruit Enzyme Peel - A non-abrasive exfoliate to reduce the dead skin build-up. Naturally fragrant, vibrant spearmint and camphor oils awaken the skin and the senses while brightening the complexion. 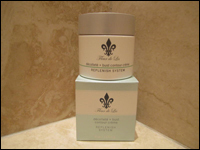 Herbal Nova CrÃ¨me - Provides extra moisture for dry, aging skin. This highly nourishing formula utilizes important vitamins and botanicals to revitalize, soften and hydrate the skin. Self-Foaming Gentle Cleanser - is a mild, ultra-rich foaming cleanser that gently removes makeup and surface oils, while maintaining skin's delicate pH balance. Safe enough to use around the eyes. May be used as a post op/post- treatment cleanser. Micro-Mineral Resurfacing treatment- A resurfacing treatment that safely and effectively buffs away dead skin cells to reveal clean, fresh, radiantly glowing skin. An effective alternative or supplement to professional microdermabrasion. 2.47 oz. P.M. Maxima CrÃ¨me - This advanced formulation uses the anti-aging benefits of three carefully prepared Swiss Bio-Extracts. 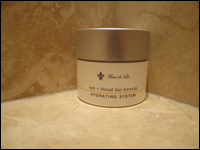 That replenishes the skin's moisture, to be nourished and restored while you sleep.